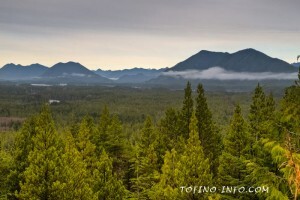 Find the Best Hiking Trails for Tofino and Ucluelet B.C. 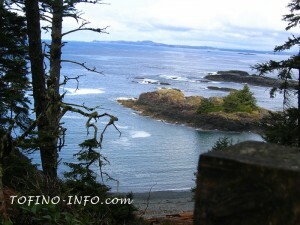 There are many trails and beaches between Ucluelet and Tofino. For a map including most of the trails and beaches click here. Below is a list of trails and pictures to help you choose where you would like to go. With a difficulty of 2, the Radar Hill Trail is a mere 0.2 km and offers the best spot for a panoramic view of the Clayoquot Sound and Long Beach area. You can drive to the top or park at the bottom of the road and walk up the hill for a slightly difficult climb. Formerly part of the Pinetree Line Defense System, Radar Hill was one of the radar stations used to warn of air strikes to North America during WWII. It also hosts the Kap’Yong Memorial in honour of the 2nd Battalion Princess Patricia’s Canadian Light Infantry which served in the Korean War. Now that the path is clear of buildings, the short path takes you to lovely vistas and around the foundations of the once station area. There is wheelchair ramp access to a viewpoint located at the top of the hill. This short trail leads to one of the coast’s most beautiful, relaxing beaches. Known locally as Wreck Bay, Florencia Beach is named after the ship that was wrecked here in 1861. The trail begins with a scenic view over Florencia Bay then leads down a set of tangled wooden steps to glorious white sand. This windless beach with the beautiful rain forest stretching out in both directions is accompanied by a beautifully distinct horizon and massive waves which make it one of the Island’s favorite beaches. The 2 km Schooner Cove Trail is a relatively easy boardwalk trail with stairs leading you through a lush rainforest with nurse logs and streams. The trail starts with a gravel path that then leads to a descent down a set of wooden stairs leading you straight into the forest This particular area of the forest floor is covered with a dense green moss. Along the boardwalk you will pass giant cedars that dominate this trail and toward the end you will see a large patch of salmonberry just near the beach. 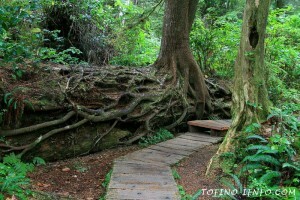 Also at the end of the trail is a 600 year old sitka spruce where the descent to the beach begins. Visitors can choose to either turn right and head to the secluded Schooner Cove at the North end of Long Beach which is a spectacular beachfront area or turn left and walk the 10km of Long Beach. Long beach is completely exposed to the Pacific Ocean and its sandy shores stretch the entire length of the bay. The beach is a famous year-round playground for kiteboarders, surfers, kayakers, and those who simply enjoy lounging on the beach. 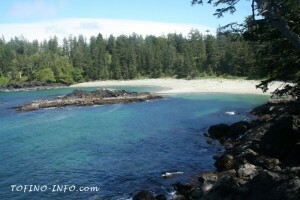 Long Beach is the most well-known feature of the Pacific Rim National Park. At the northern end of Schooner Cove you can reach the headland known as Portland point. The rocky point is not easily accessible but it provides a great spot for whale watching and surf casting. The difficulty of the Schooner Cove Trail is about a 2 due to the stairs. 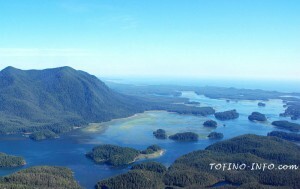 The boat accessible Lone Cone Trail located on Meares Island is “the” mountain hike for those traveling to Tofino. Known as a rite of passage by many, The Lone Cone Hike is truly a wilderness day-long hike and is intended for those up for a good challenge. It is a constant up-hill grind which many feel is exhilarating and makes the view from the top that much more rewarding. With a difficulty of 5 hikers must be prepared for emergencies and are encouraged to be prepared to stay the night in case things go a little slower than planned. Water and good footwear are a must for this muddy, intense hike. 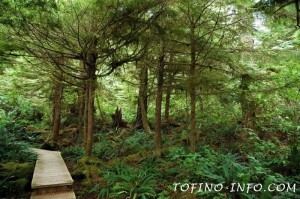 It is the perfect hike for a replenishing of body, soul and mind as it offers a tantalizing view of Tofino. There are three majestic peaks to lookout from, Catface, Colnett and Lone Cone each offering a distinct view of their own. The 0.5 km Combers Beach trail located at the end of the Spruce Fringe Trail is a short but steep walk through beautiful forest. The trail eventually veers off in 3 directions. To head to Combers Beach, keep left following the wooden boardwalk and a short distance away is Combers Beach Combers Beach is a favorite for many and is sometimes used for wedding ceremonies. It is a great beach to enjoy a picnic, play with your dog, run around with your kids or just relax. The 1.6 km South Beach Trail with a difficulty of 2 is on gravel and boardwalk that provides access to the scenic Lismer Beach. 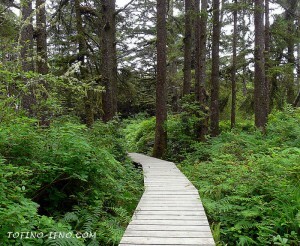 This coastal trail is one of the most scenic trails in Tofino. It is a great trail for a picnic as you’ll not only enjoy the beautiful view and crashing waves, but also the songs sung by the stones of the shore as the waves crash down upon them. The trail begins with a view next to the Interpretive Center and continues to offer stunning views alongside Lismer beach. There is also a totem pole located on the trail that is another ideal spot to take in breathtaking scenes of water, forest and ocean spray. 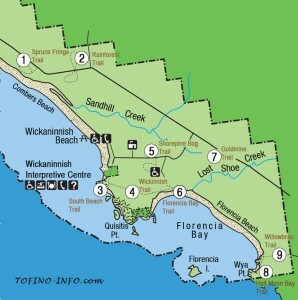 The trail connects to the Nuu Chah Nulth Trail which if followed, leads to a slightly longer hike to Florence Beach. You can continue down the South Beach Trail at its point of intersection with the Nuu Chah Nulth Trail and descend down to the beach which hosts some uniquely shaped rock formations. Originally named after Chief Wickanninish of the Nuu Chah Nulth people, this trail connects Long Beach to Florencia Bay. 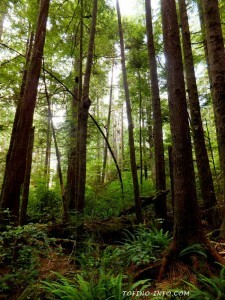 With a length of 3.8km, the Nuu Chah Nulth Trail is the longest trail in the Pacific Rim National Park. Enjoy a beautiful view of the ocean along a raised wooden boardwalk path that leads through thick, lovely forest. The boardwalk trail gives way to tree roots around a wetland area before becoming a boardwalk area again that later becomes a dirt trail as you begin to hear the waves of the Pacific crash down onto the shores. Along the trail you will come by the Nuu Chah Nulth totem pole to show homage to the original habitants of this scenic land. At the end of this 3.8km trail is Florencia Bay. The Nuu Chah Nulth Trail has a difficulty of 3 due to the presence of stairs and it can be muddy at times so boots are recommended. 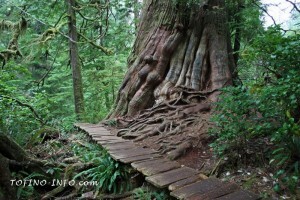 Famous throughout the world as a place of old-growth forest with ancient cedars rising into the sky is Meares Island. A leisurely kayak paddle or easily located charter boat will get you to the start of the boardwalk trail. Upon arrival, you may need a little coordination to make the transfer from water to boardwalk but once you do, you are in for an amazing easy 3K hike through a splendid old growth cedar forest. The trees of the old forest grow in such a way that leaves the mind’s eye in awe. The rickety old wooden path adds even more enchantment to the journey. Eagles as are often spotted in the massive branches of the giants growing there. 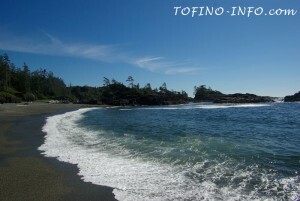 It is an easy to moderate trail to traverse and is a “must see” for many who visit Tofino. 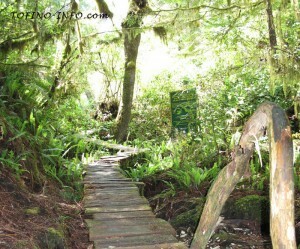 The Rainforest Trail is broken up into two 2km boardwalk style loops each with its own story to tell. Both loops have everything that any trail expert or novice could hope for. The loops are located on either side of the highway with parking on the west side of the highway facing the ocean Loop A not only has immense trees, but also explains the life cycles of the forest with interesting educational signage. Close to the trail head exists a massive tree that is twice as thick as the trees surrounding it. Loop B teaches visitors about many keystone species in the area including salmon as well as other life cycles found in the forest. The two boardwalk style loops take you by massive cedars, salmon spawning streams, ferns and other ancient looking plants with nursing logs all around to replenish this ancient forest. The hush of the forest will encompass you as you wander amongst the giant ferns and trees. The trail has a difficulty of 3 making it fairly easy although you do have to carefully cross the highway for Loop A. The towering giants and informative signage make this trail a favorite for many. If you are looking for a day away from Tofino, you can take a boat to the west coast of Flores Island. The 10K “Walk the Wild Side” trail located there takes you through the quaint town of Ahousaht that follows the western coast The trail is far from challenging as a boardwalk leads you through the forest areas and alongside numerous beaches. The beaches along this trail are some of the most natural and untouched that you will find in B.C. and make for a nice escape even deeper into this beautiful coast. The Half Moon Bay Trail is a short 1km trail that begins at the end of the Willowbrae Trail. Though it is a short hike it allows for some outstanding views. The trail begins with old cedars and as you venture further into the lush, mossy forest you begin to see coiled spruce trees that have grown this way to protect themselves from the ocean storms that come in the colder, stormier winter months. 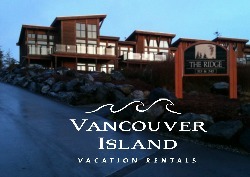 Follow the steep set of wooden steps along the cliff down to a secluded, scenic beach area. The Willowbrae Trail is a short 2.8km hike that follows a wide gravel path before turning into an early settler’s traveled corduroy road (named as such because corduroy roads resemble corduroy as they are built of logs laid down beside one another like corduroy). 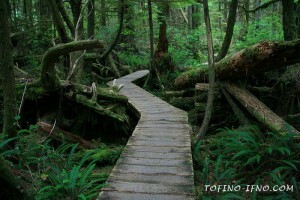 The trail begins between Tofino and Ucluelet and leads through a forest close to the ocean where the trail then forks. You have the choice of either heading down a set of steep stairs to Half Moon Bay which is an isolated cove or down a different set of stairs to Florencia Bay which is a quiet beach. Both destinations are fairly secluded making for a quiet place to relax. This trail is given a challenge level of 4 due to its steep stairs. This 1.5 km loop leads you to Combers beach through a Sitka spruce forest guided by numerous signs explaining the botanical life of this illustrious forest. As you get closer to the ocean, the trees begin to contort and grow together to protect themselves from the intense wind of the winter weather and hence the Krummholz Tunnel has been created. The dense tree canopy blocks the light so very few plants can grow there except for shrubs which in some instances have grown as tall as trees. The trail passes by the willow and crabapple swamps and it is known for its many ferns, lichens and fungi. It is a fairly simple trail with only one set of steps. This trail offers strategically placed benches which makes it nice for picnicking. At the end of the Spruce Fringe Trail lies the Combers Beach Trail which leads to the less crowded Combers Beach. 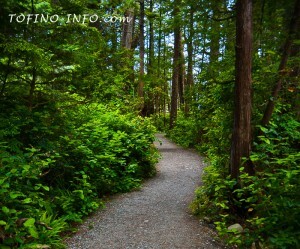 This 10km hike located in the center of the Pacific Rim Park is on the beautiful shores of Long Beach. It is more of a walk than a leisurely beach stroll as you park just steps from the sand and head down the long shores in either direction. 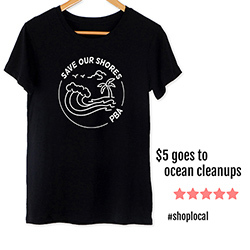 With its majestic view of the vast ocean and fun, open atmosphere Long Beach draws all sorts of people from families to surfers and romantics. Long Beach is a great spot for a romantic walk along the shore during sunrises and sunsets. For those adventurous in spirit, the south end of Long Beach at Wickaninnish Bay is one of the best locations for storm watching during the stormy winter months.